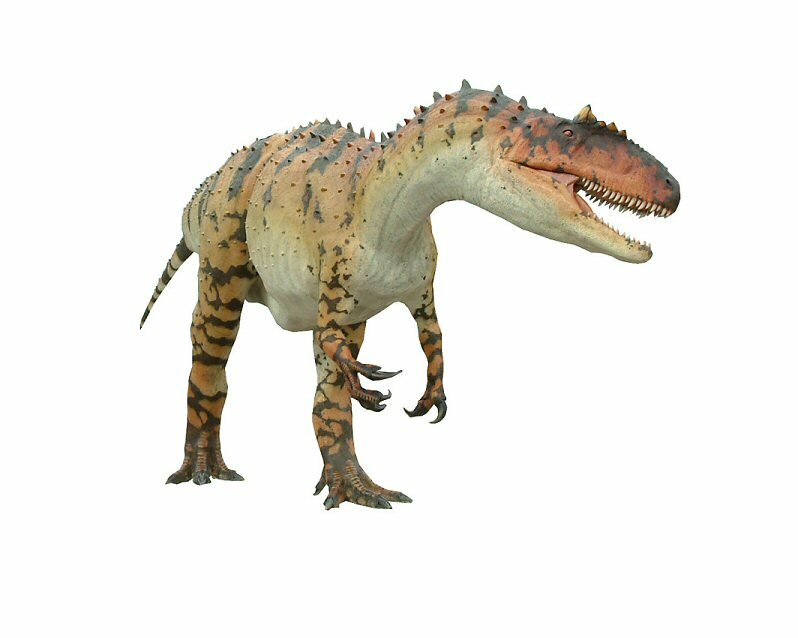 Allosaurus was a powerful predator that walked on two powerful legs, had a strong, S-shaped neck, and had vertebrae that were different from those of other dinosaurs (hence its name, the "different lizard"). 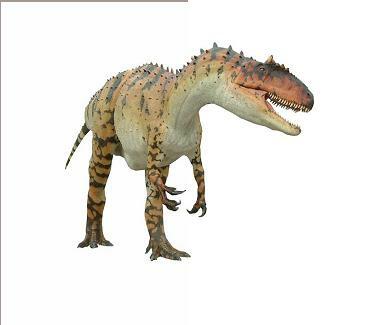 It had a massive tail, a bulky body, and heavy bones. 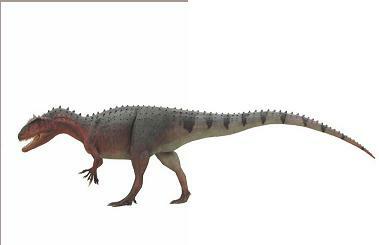 Its arms were short and had three-fingered hands with sharp claws that were up to 6 inches (15 cm) long. 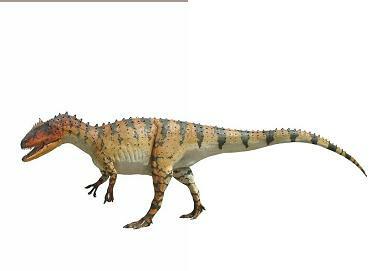 Allosaurus was up to 38 feet long (12 m) and 16.5 feet tall (5 m). It weighed about 1400 kg. 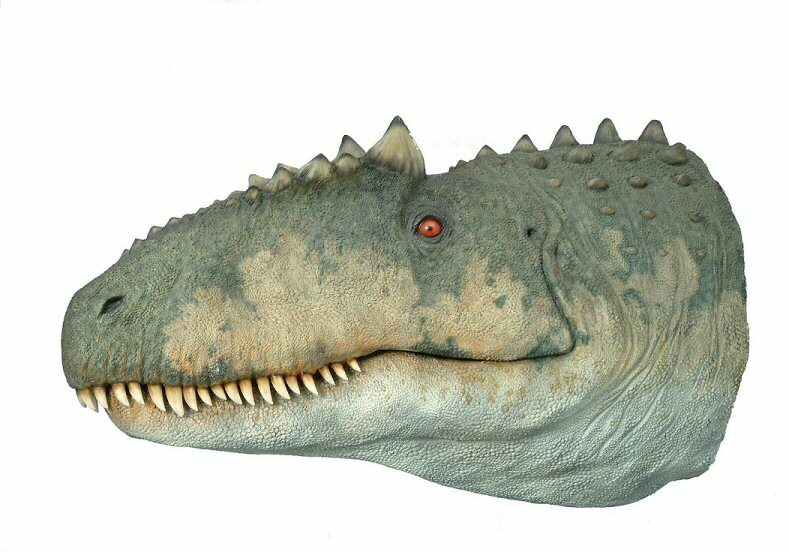 It had a 3 feet long (90 cm) skull with two short brow-horns and bony knobs and ridges above its eyes and on the top of the head. It had large, powerful jaws with long, sharp, serrated teeth 2 to 4 inches (5 to 10 cm) long. Gastralia (hanging belly ribs) are thin, fragile ribs that helped support and protect the internal organs (like the lungs) in the middle area of the body. These ribs were not attached to the backbone; they were attached to the skin in the belly area. 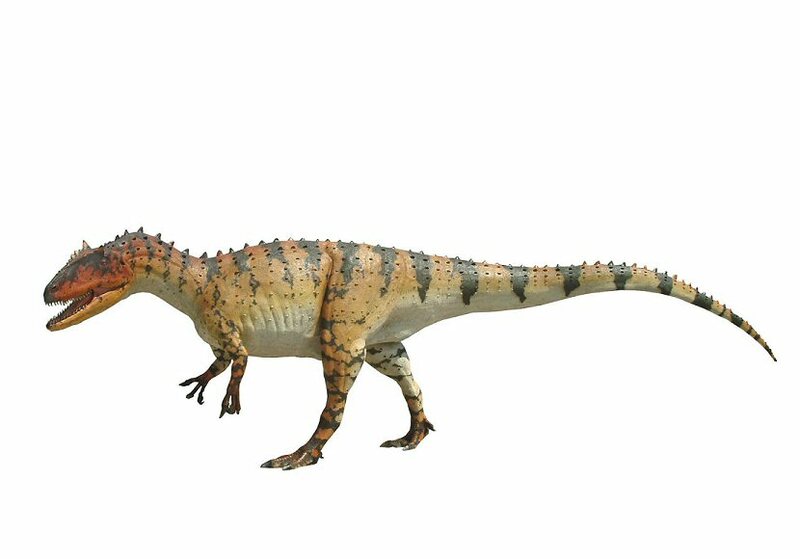 The different species of Allosaurus varied in weight. 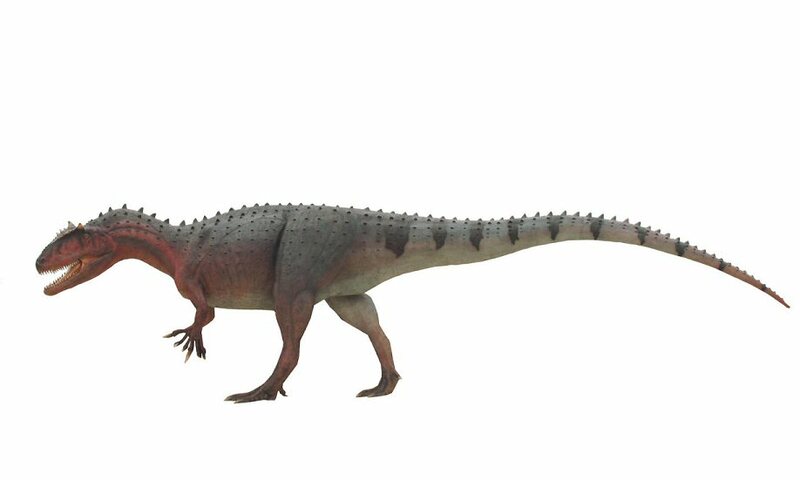 Allosaurus fragilis, A. atrox, and A. ferox weighed about 1.1 to 1.9 tons (1 tonne to 1.7 tonnes); A. amplexus was much heavier and weighed about 2.7 to 5.5 tons (3 tonnes to 5 tonnes). An Apatosaurus vertebra was found with Allosaurus tooth marks etched into it, evidence of an ancient Allosaurus attack.